Simple Mics | Fabulous Thunderbirds are fantastic live. 12 Aug Fabulous Thunderbirds are fantastic live. 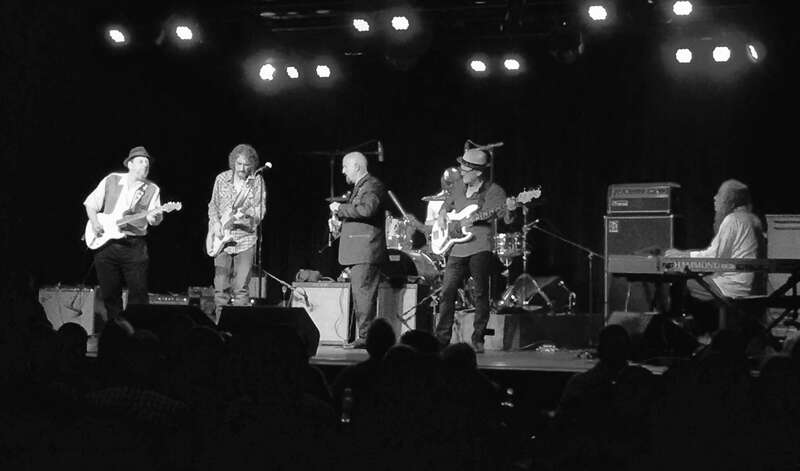 I witnessed Kim Wilson and the Fabulous Thunderbirds last night at the Blue Ocean Music Hall in Salisbury Massachusetts. Really a stupendous blues show. They wound up the audience slowly from the first song through the finale. Thunderous harp. Tremendous band, especially Kevin Anker on piano and Hammond Organ. His magical, varied, and inventive fills were amazing, maybe even overtaking his masterful solos. On guitar, Johnny Moeller started a quiet, by by the show’s end, he was on fire. Steve Gomes on bass and Rob Stupka steady, funky, rocking groove made this the most solid blues band I’ve seen in years. The last few tunes featured guest guitarist Ronnie Earl, who’s still got it going on. Kim blew the single best solo harmonica solo I’ve ever seen. Started with the whole band, then they left the stage, then just the drummer returned, then the whole band again. About a 10 minute harp instrumental I was blown away and honored to see. The Thunderbirds are touring the country over the next months, and I recommend you get out and see one of the best acts in the country right now.